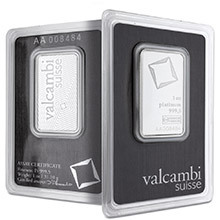 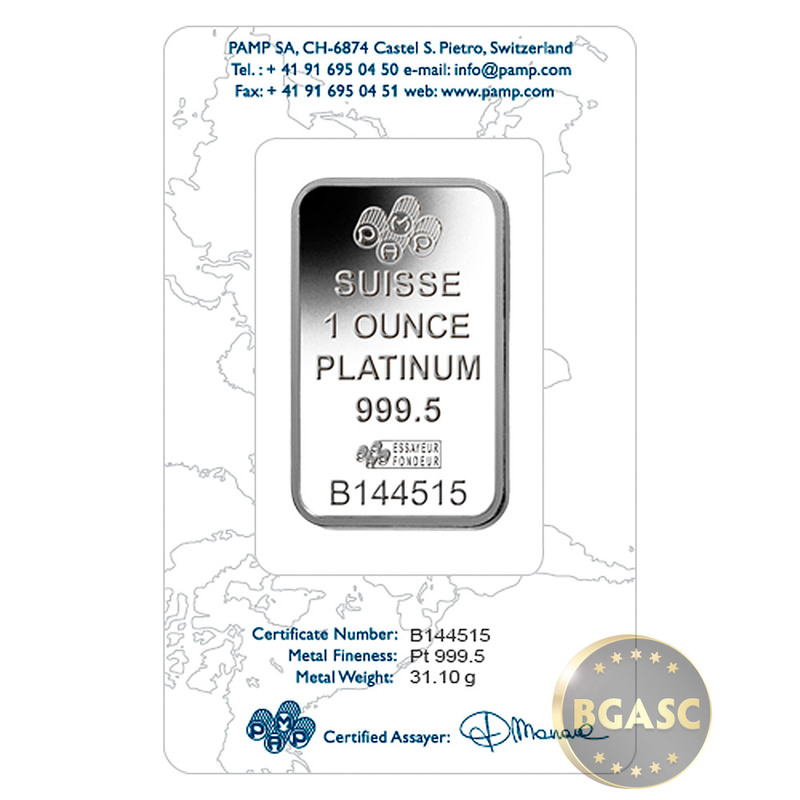 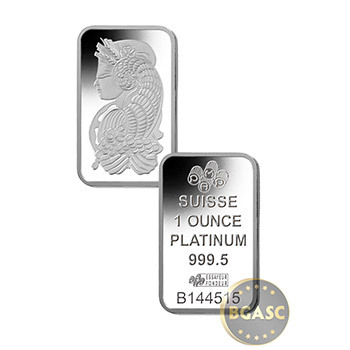 This 1 oz Platinum PAMP Suisse Fortuna Ingot has had it's weight and fineness certified by Pamp Suisse and comes sealed in assay card that guarantees the platinum weight and purity. 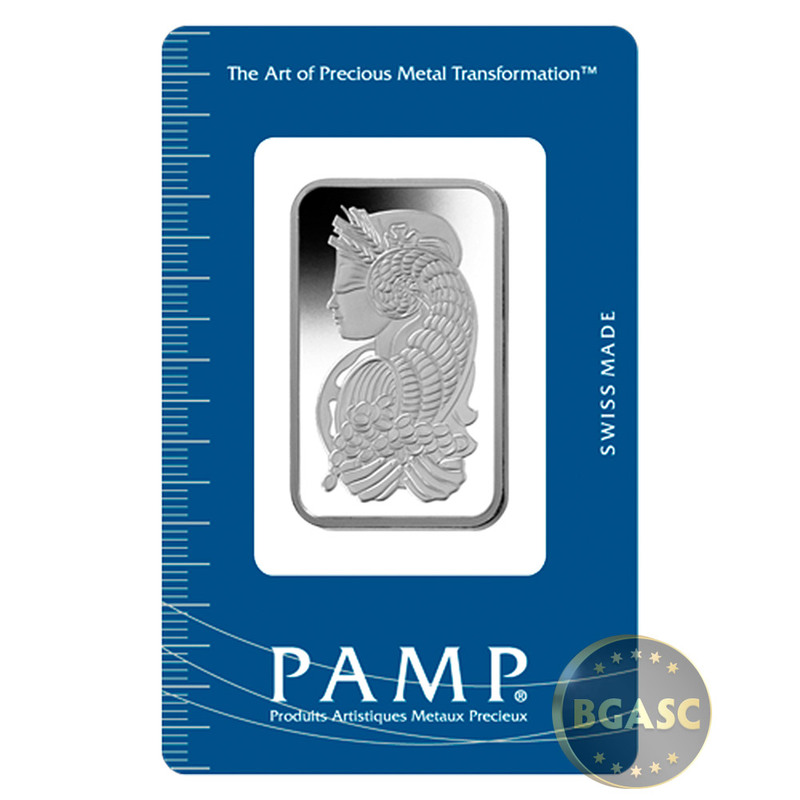 As the first decorative motif ever to embellish a precious metals bullion bar, PAMP's distinctive Lady Fortuna design has won the world over as assurance of PAMP quality and authenticity. Here, the Roman goddess of prosperity is portrayed with all of her mythical attributes: Sheaves of wheat, poppies, Horn of Plenty, precious coins, and Wheel of Fortune. Exacting Quality Standards: Pamp bars are produced using the highest Swiss engineering skills at a modern, state-of-the-art refinery – the best assurance of consistent quality excellence. 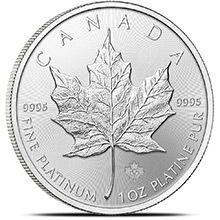 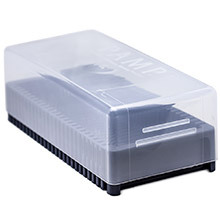 Fine Details: An exceptionally high quality finish is an internationally recognised signature of PAMP products. Handsome designs add value to the fine precious metal content, making PAMP bars coveted and collectible. 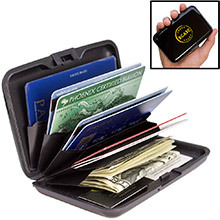 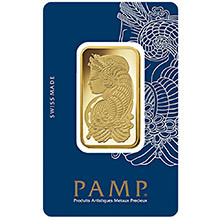 Authenticity And Identification: Each PAMP bar is individually registered and sealed in signed, a protective CertiPAMP™ package that guarantees the assayed fine precious metals content, weight and quality.